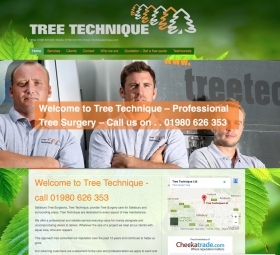 Tree Technique asked us to update their existing website. The old website was looking a bit dated and untidy, so we designed the new website to be modern, clear and friendly. 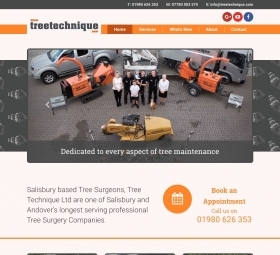 We utilised a lot of images on the new website to support and compliment the written content. 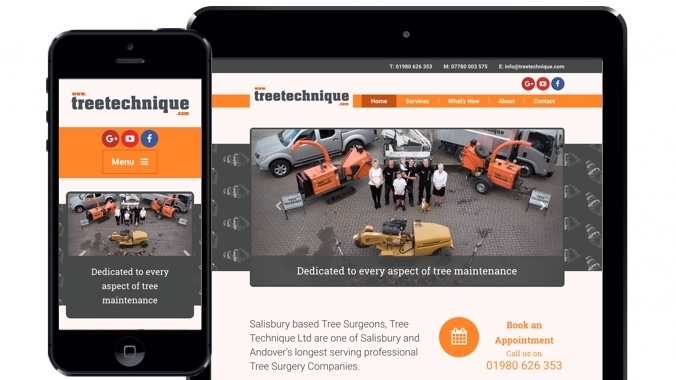 The new colours are based on the existing branding and logo used by Tree Technique, implemented in a way that is bright and colourful but not too obtrusive. 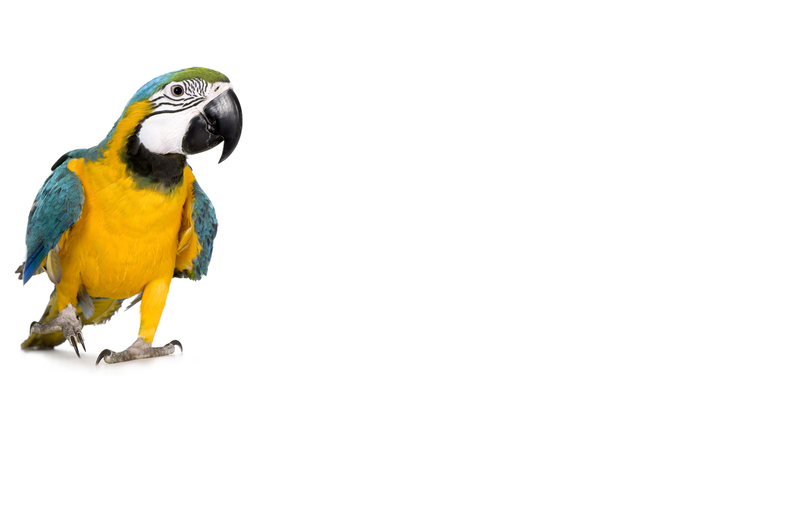 SEO is an important factor for any website, and no less so than on this small site. We have optimised the content to be as clear as possible for users to navigate, but also rich enought to be effective for search engines. Along with the usual optimisation for keywords and meta-data, we also created discrete landing pages for Andover and Salisbury, both important areas that Tree Technique work in. 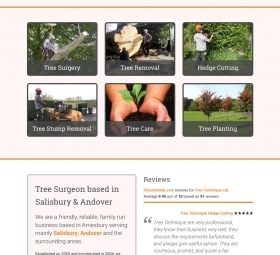 The idea is that users searching for tree surgery in those areas will arrive on these dedicated landing pages. We are Webbed Feet UK. We offer tree surgeon website design services.